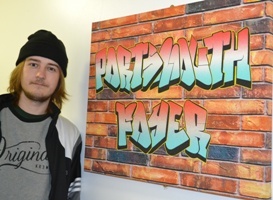 For many of our clients, a move into a home of their own and a settled way of life is a huge success, but George, a young client from our Portsmouth Foyer, has his sights set on a more adventurous future! After successfully gaining a qualification to teach English as a foreign language, George passed a gruelling assessment in the Lake District and was accepted for the Rites of Passage programme. 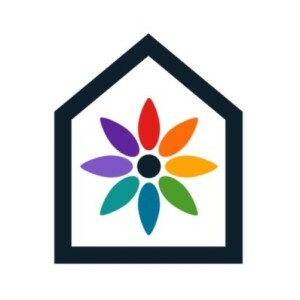 Run by international charity Chance for Change, the programme helps young people move away from relying on homless services and benefits – and step towards independent adult lives. George has since made two camping expeditions to the Lake District, learning how to negotiate the land, solve problems and take responsibility for himself and his team. The trips are a great way for participants to gain the skills, confidence and motivation to be come more independent. George planned a fully independent expedition to walk Hadrian’s Wall and wants to put his qualification to good use by volunteering abroad for the Chance for Change charity. After the program he will be given membership of the Youth Hostel Organisation, so he can travel and work between the many thousands of Youth Hostels around the world. He hopes that a volunteering role will lead into paid work and is excited for the future with homelessness as a distant memory. Latest update: George waved goodbye to the Foyer in Portsmouth and has headed to live in a low support flat in Kendal Foyer. He’s been accepted to study full time at Kendal College before planning to volunteer abroad and explore the world.